Threaded studding with a plain length which makes them suitable for accurate location of sheets, flanges or other components. Some standard lengths, also custom lengths to order. 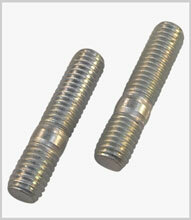 Zinc plated or self-colour steel in metric sizes M3 to M36.